One of the favorite TV shows that provides a platform to people to showcase their talent, America’s Got Talent 2018, has finally ended. This season of AGT was graced with talented superstars, and a couple of them even bagged golden buzzers. Glennis Grace, a Dutch Singer, whose performance was worth a golden buzzer but did not get it. She sang the song, Run to You, a powerful song by Whitney Houston and left the audience in awe of her performance. With her popularity from AGT, she has around 147k followers on her Instagram account. Glennis was born in Amsterdam, Netherlands on 19th June 1978. She is of Dutch nationality with mixed ethnicity. Her birth sign is Gemini. She belongs to the Dutch family with her father being a Surinamese. She was married to Moos Majri and shares a beautiful child, Anthony Shane, with him. Talking about Glennis’s net worth, she is one of the famous recording artists in her home country, Netherlands, with 20 songs to her name. She also won a Dutch talent show as a singer earning a fortune. She is also one of the band members of Ladies of Soul. 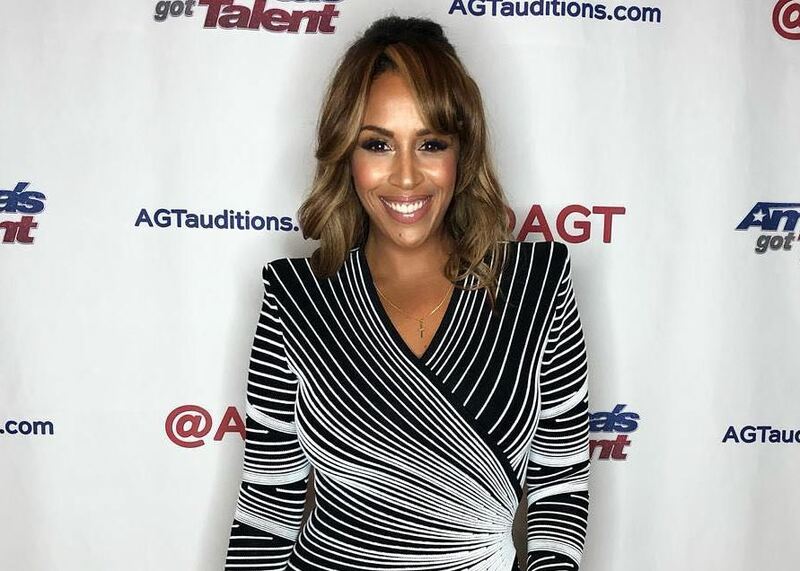 As of 2018, Glennis came to AGT to showcase her singing talent and win the prize money of $1 million. During her first audition, she got applauded and received a standing ovation from judges as well as the audience with her song, Run to You. After her powerful performances throughout the tournament, she advanced into the semifinals where she sang, This Woman’s work by Kate Bush. Finally, she reached the finals with a little help from Google’s Instant Save/Dunkin save. On her final performance, she sang Run by Snow Patrol. Glennis didn’t win th show but has garnered millions of fans and followings all over the world. She will be getting offers for work and brand endorsements as well. As of 2018, Glennis’ net worth is estimated at $30 thousand. Glennis got married in 2006 to husband Moos Majri. The couple got separated in 2012 after six years of marriage. However, there is not much information about their wedding and how they got divorced. Glennis is a strong woman as her divorce did not break her but pushed her to do better in her life for the sake of her 11-year-old son. She continually posts on her Instagram about her son and how much she loves him. Glennis was raised in the beautiful city of Amsterdam. She was once married to then-husband Moos and shares a child, Anthony Shane with him. As for her parents, there is nothing much written about them. Glennis is a 40-year-old woman who has still maintained her physique and looks fit as seen on her Instagram posts.